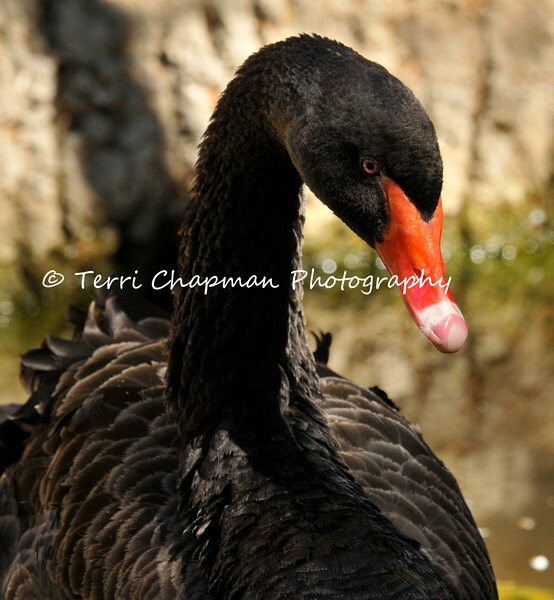 This is an image of a Black Swan photographed at the Santa Barbara Zoo. The Black Swan is a large waterbird that breeds mainly in the southeast and southwest regions of Australia. The species was hunted to extinction in New Zealand, but later reintroduced.